I spent part of last week in Iceland, where the fragility of civilization's veneer is all too evident in a violently volcanic landscape. Whereas in most countries geology amazes you with its age, in Iceland it stuns you with its youth. The country lost an offshore island in 1830 and gained one in 1965. Lava from recent centuries is everywhere; rivers diverted by eruptions are still carving valleys just a few thousand years old. The coastline moved by three miles after the eruption of the Katla volcano in 1918. That was Katla's last big eruption, and it is due for another. 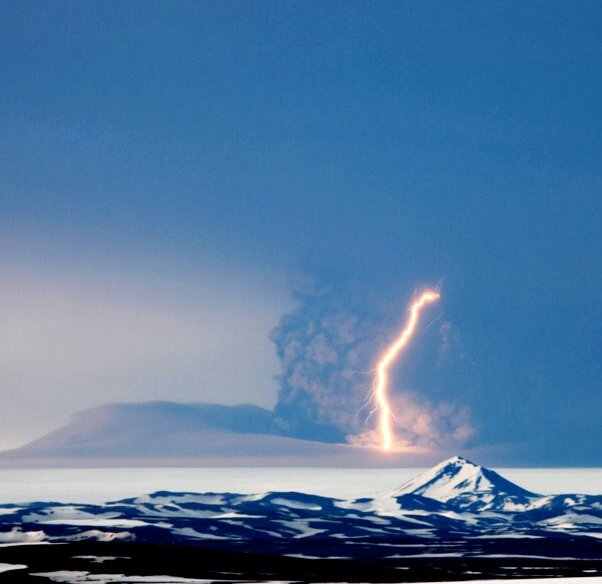 Its usual interval is less than 80 years, sometimes following the eruption of its smaller neighbor, Eyjafjallajökull, which was the villain of 2010's airplane-grounding ash cloud. A bridge on the country's main road was washed away on July 9 by a flood of glacial meltwater flowing from under the ice cap that covers Katla, so the big one may be coming. Hekla, which goes off every 10 years or so, is also overdue. Grimsvötn, an even more regular erupter, blew a hole in Europe's biggest ice sheet in May. The Laki fissure's eruption in 1783 spewed out so much sulfur dioxide and hydrogen fluoride that it poisoned 80% of Iceland's sheep, covered northern Europe in thick smog for a month and caused crop failures that starved perhaps six million people. An exceptionally harsh winter ensued all over the northern hemisphere. http://www.rationaloptimist.com/sites/all/modules/fckeditor/fckeditor/ed...); padding-left: 18px; background-position: 0px 50%; background-repeat: no-repeat no-repeat; ">The possibility of another Katla or Laki reminds us of the need to prepare for dangerous climate change of the natural as well as the man-made variety. Abrupt climate change has been a sporadic feature of history since long before the industrial revolution, mostly in the form of cooling caused by volcanoes. Some three decades after Laki, 1816 was known as the "year without a summer" thanks to a big eruption in Indonesia. Even Mount Pinatubo in the Philippines in 1991 caused a brief, though small, drop in world temperatures. http://www.rationaloptimist.com/sites/all/modules/fckeditor/fckeditor/ed...); padding-left: 18px; background-position: 0px 50%; background-repeat: no-repeat no-repeat; ">Other abrupt coolings have been bigger but less explicable. Earlier this year, two scientists from Brown University used lake sediments to conclude that the sharp cooling in Greenland during the late Middle Ages, which extinguished the Norse colonies, saw temperatures drop by seven degrees Fahrenheit in 80 years, much faster than recent warming there. Conversely, Greenland's temperature shot up by around 13 degrees in 50 years as the world came out of the last ice age 12,000 years ago and the ice sheets of North America and northern Europe retreated-again, unlike today's slow increase. http://www.rationaloptimist.com/sites/all/modules/fckeditor/fckeditor/ed...); padding-left: 18px; background-position: 0px 50%; background-repeat: no-repeat no-repeat; ">Preparing to meet risks posed by nature does not exonerate human pollution. Earlier this year, after Grimsvötn erupted, a message went viral on the Internet, arguing that "the volcanic ash emitted into the Earth's atmosphere in just four days...by that volcano in Iceland has totally erased every single effort you have made to reduce the evil beast, carbon." If true, this is because carbon-reduction efforts are so far largely ineffective, not because volcanoes put out a lot of carbon dioxide. Total volcanic carbon-dioxide emissions, at up to 230 million tons a year, are less than 1% of fossil-fuel emissions of 32 billion tons a year. The Australian climate skeptic Prof. Ian Plimer argues that this probably understates the contribution of undersea volcanoes, but few other geologists agree. But then the total carbon-dioxide emissions from biological sources-animals, plants, fungi and microbes-dwarf those from fossil fuels and amount to some 800 billion tons a year. So although it is a myth that volcanoes produce more carbon dioxide than fossil fuels do, the natural world far outpaces our cars and factories. Roughly 97% of the carbon dioxide entering the atmosphere each year is from nature, not human activity. Update: I am intrigued by the argument made by Professor Murry Salby in a lecture here (and discussed by Judith Curry here) that the increase in carbon dioxide in the earth's atmosphere over the past century or so may be attributable 80% to the warming of the oceans rather than to fossil fuel emissions. In other words that the warming generated the CO2, rather than vice versa -- as happened in most of the Vostok ice core record from Antarctica. He points out that the rate of increase dropped sharply after Mount Pinatubo in 1991 and rose sharply after the very warm El Nino in 1998. He also takes issue with the argument that the ratio of carbon 13 to carbon 12 is necessarily a fingerprint of fossil fuels. Salby's paper is due to be published soon, and I have yet to see his charts, so I am certainly not endorsing his view here. Till now I had thought the attribution of CO2 increases to fossil fuel emissions was a firmly settled aspect of climate science. But I once thought that about the hockey stick graph and the attribution of climate change to CO2 levels in the Vostok core, too. So I am prepared to consider Salby's case open-mindedly. The biggest obstacle he has to overcome is to explain why CO2 levels are so much higher today than in other warm periods, such as the Holocene Optimum and the previous interglacials. The mistaking of cause and effect in various scientific debates is a problem that I find increasingly interesting. So I generally don't dismiss arguments like this till I have heard good evidence against them.